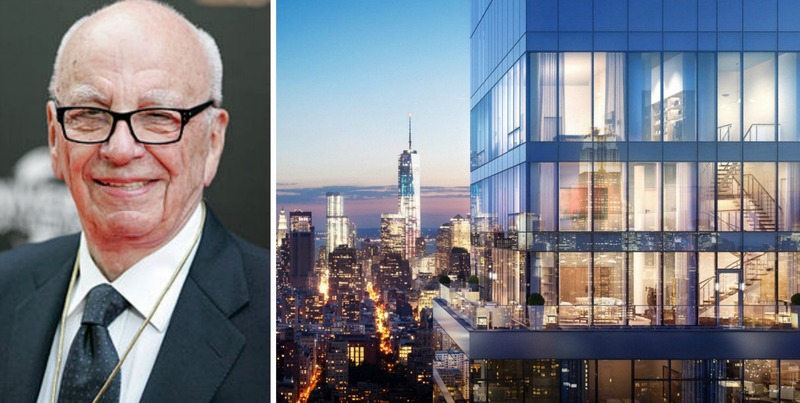 The Wall Street Journal reports today that News Corp. and 21st Century Fox chairman Rupert Murdoch has listed his penthouse at One Madison for $72 million. He bought the 6,850-square-foot triplex last February, in conjunction with a full-floor unit on the 57th floor below, for $57.25 million. He originally intended to use the smaller apartment as a guest suite, and moved into it while architect Jose Ramirez built out the penthouse. But Murdoch has now shifted gears, putting the penthouse on the market, keeping the 57th-floor unit, and buying a $25 million West Village townhouse where he plans to live full time. Interestingly, the townhouse is reportedly the former purple bed and breakfast turned single-family mansion, which hit sales records on Wednesday. The One Madison penthouse is currently under construction, but is wrapped in floor-to-ceiling glass windows and features an amazing 586-square-foot wrap-around terrace with views of the Hudson River, East River, the Empire State Building, and the World Trade Center. 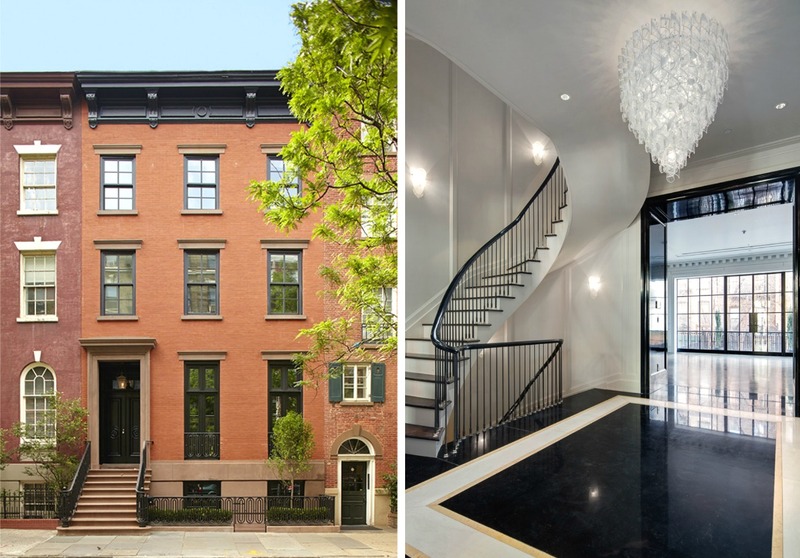 Murdoch’s new Village townhouse made headlines this week when it sold because it was formerly a purple bed and breakfast that was extensively renovated by developer and former owner George Agiovlasitis. Though city records listed an LLC as the buyer of the home, and the Real Deal reported that Paula Wardynski, senior vice president of finance at 21st Century Fox, was the new owner, it now looks like the LLC represented Murdoch instead. 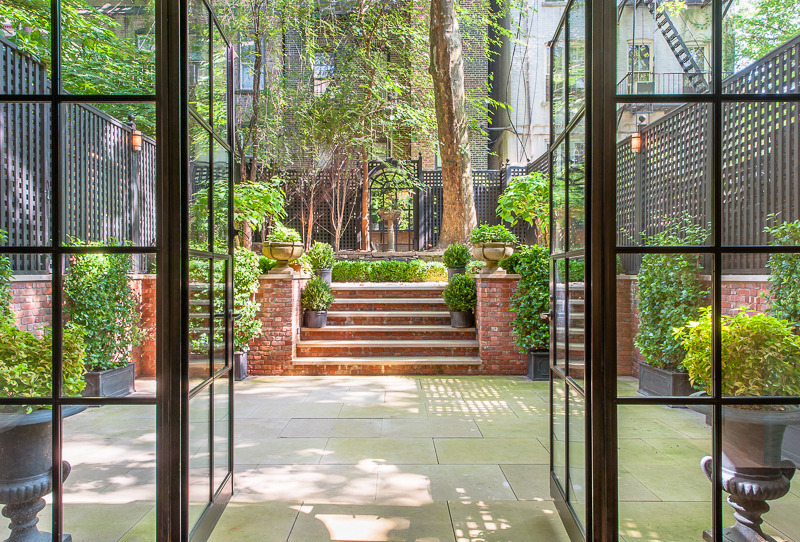 The 6,500-square-foot Greek Revival townhouse sits on the highly coveted Bleecker Gardens, has an incredible roof deck and second- and third-floor terraces, and has been outfitted with full smart home technology. It also boasts an elevator, gym, and 1,200-bottle wine cellar. 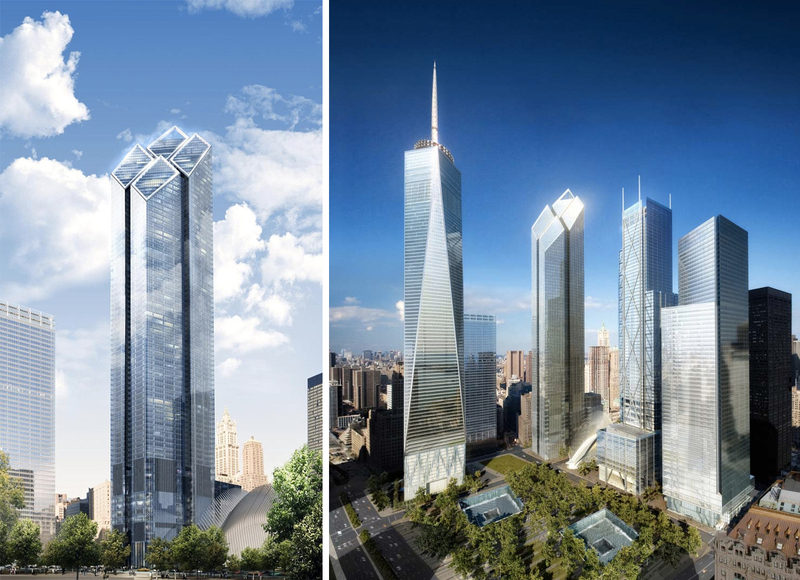 In addition to his personal moves, Murdoch also might be making a big professional move, as we reported earlier this week that News Corporation and 21st Century Fox are in talks with the Port Authority and developer Larry Silverstein to make 2 World Trade Center, Norman Foster’s long-stalled 1,349-foot skyscraper, their next home.